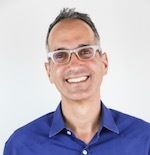 To honor that vision, we'll announce the winner of the 2019 Sid Fleischman award here on SCBWI: The Blog first (right now! ), and then on Thursday we'll announce the Golden Kite Award winners for 2019. Angela Dominguez for STELLA DIAZ HAS SOMETHING TO SAY (Roaring Brook Press) A heartwarming story based on the author’s experiences growing up Mexican-American. Stella Diaz loves marine animals, especially her betta fish, Pancho. But Stella Diaz is not a betta fish. Betta fish like to be alone, while Stella loves spending time with her mom and brother and her best friend Jenny. Trouble is, Jenny is in another class this year, and Stella feels very lonely. 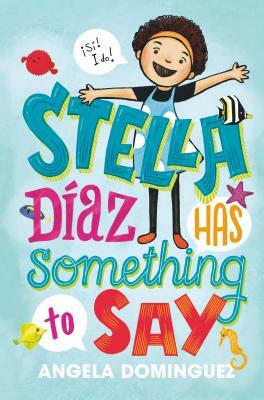 When a new boy arrives in Stella's class, she really wants to be his friend, but sometimes Stella accidentally speaks Spanish instead of English and pronounces words wrong, which makes her turn roja. Plus, she has to speak in front of her whole class for a big presentation at school! But she better get over her fears soon, because Stella Díaz has something to say! The Sid Fleischman Award (Along with the Golden Kite Awards) will be presented at a gala during the New York Winter Conference on Friday, February 8 at 7pm at the Grand Hyatt Hotel. Guest speaker U.S. Supreme Court Justice Sonia Sotomayor will deliver remarks at the event.